Project Adventure is an accredited Professional Vendor Member (PVM) of Association for Challenge Course Technology (ACCT), which is a leader in the standardization of installation and equipment, inspections, operations, practitioner certification and qualifications for the challenge course professional. A PA representative also serves on the committee that handles all phases of the Professional Vendor Member accreditation process and all issues of continuing PVM status. 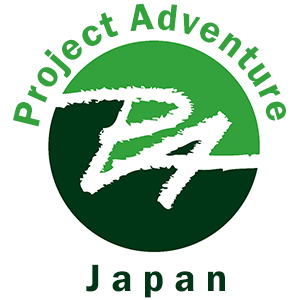 Project Adventure is an Association for Experiential Education (AEE) Preferred Partner. Preferred Partners promote the advancement of experiential education by providing AEE members with greater access to the tools and resources they need to do their jobs. Project Adventure is one of the founding members of both the Association for Experiential Education (AEE) and the Association for Challenge Course Technology (ACCT) – and is the only organization to carry accreditations from both entities. In mission and in practice, we are unparalleled in our capacity and our desire to support all aspects of your adventure program. We are honored to have strong professional relationships with many valued partners who are equally dedicated to providing experiential and educational adventure services or products. These partnerships are generally defined after a working relationship has been established through a good faith agreement and a Memorandum of Understanding. Project Adventure partners with FlagHouse, a leading supplier of high-quality equipment to the physical education and recreation community, to deliver quality, value and convenience for all of your Adventure mail order product needs. Project Adventure has partnered with Plymouth State University on two Master of Education programs, M.Ed in Physical Education with Adventure Education focus and M.Ed in Experiential Learning and Development. Graduate credits are available for all multi-day open enrollment and custom workshops. Additionally, Continuing Education Units (CEUs) are also available through Plymouth State for attending Project Adventure workshops, at an additional cost. For more information, please refer to our Masters Program Section. Project Adventure partners with Salem State University on the M.Ed Leadership in Physical Education and Movement Studies, Master of Education. Professional Development Points (PDPs) are also available through Salem State for attending Project Adventure workshops, at an additional cost. The UNH Department of Outdoor Education is known as the leading research group for evaluation and research on Adventure programs. PA partners with UNH and Professor Michael Gass in designing and implementing research projects for PA programs. Project Adventure partnered with Danvers Indoor Sports (DIS) in 2015 to offer teambuilding programs at an indoor facility during the colder months of the year, as well as to provide a year-round indoor alternative for groups with space limitations at their own site. With 8 athletic fields and 4 basketball courts, DIS offers plenty of space for Project Adventure to facilitate indoor adventure programs that don’t require the use of a challenge course. Project Adventure and The Salvation Army Kroc Center of Boston partnered to offer even more programming to the local Boston area. Located in Dorchester, Massachusetts, the 90,000-square-foot, state-of-the-art facility is home to both a high and low challenge course and is open to people of all ages from throughout Greater Boston .